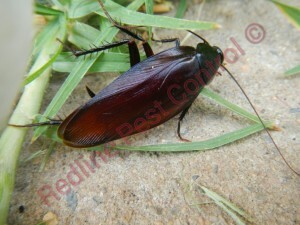 Whether we like it or not cockroaches at some point will enter our premises and set up their cosy little living space. Not many people realise that cockroaches can actually cause asthma. Decomposing cockroaches, saliva, faeces and urine from cockroaches has just enough organisms for us to breathe into our bronchial tubes. With some people this can cause an allergic reaction that is also known as asthma. Not everyone who has cockroaches in their home will develop asthma. Usually the people who are affected are people who are more sensitive in their bronchial tubes. Unfortunately as the weather is getting warmer and warmer this makes the perfect breeding ground for cockroaches. 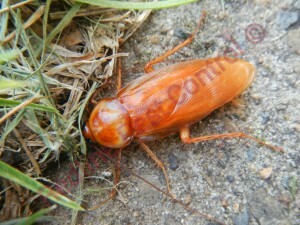 Cockroaches are a nocturnal insect and will often come creeping out in search for food at night and will scatter away once the light has been turned on. 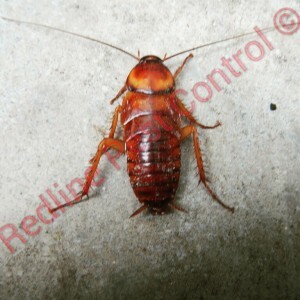 Cockroaches is not just limited to causing asthma but they can also create other health issues which can make you severely sick or can cause death. Studies have been done and while German cockroaches are on the top of the list for causing asthma this does not exclude the larger cockroaches. German cockroaches will breed every five to six weeks and will have between forty to fifty baby cockroaches in each egg sack. Large cockroaches have less than the German cockroaches with around 15 baby cockroaches. So what can you do to avoid an infestation of cockroaches?